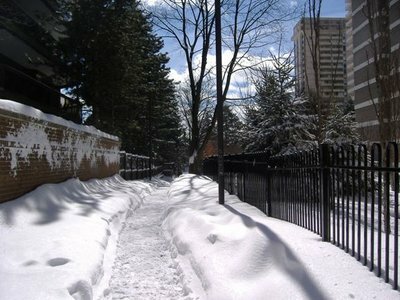 A few weeks ago Toronto was getting another blanketing of snow. I was standing in the vestibule of my apartment building doing up my jacket’s zipper and securing my hat and gloves. A man walked into the vestibule also readying himself to head out into the falling snow. He shrugged his shoulders and said, “it’s Canada.” Then he turned and walked outside, letting twister of blowing snow into the vestibule and causing a chill to creep up my spine. “I don’t know, seems bad to me,” I said to no one, before hunkering down my shoulders and heading out into the snow. That encounter got me thinking, though, whether or not I’d become some sort of softy when it comes to the snow. After all, my usually constant business travel usually keeps me on the road during winter in places that are warmer and less snowy than Canada. This winter, though, I’ve mostly been here in Canada. Perhaps all my travel has zapped me of the usual Canadian stiff upper lip when it comes to the winter weather. Turns out, though, that isn’t the case. 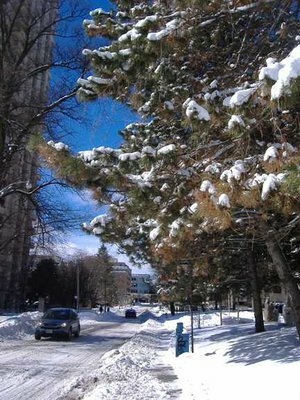 It is a bad winter here in Toronto. Last Saturday Toronto was in the middle of a blizzard delivering another 30 cm – 40 cm of snow, and we’d already had 20 cm earlier in the week. A front page story on the Toronto Star laid out the truth. 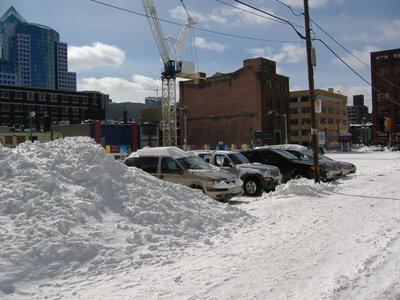 We were very close to being the worst winter ever in Toronto. 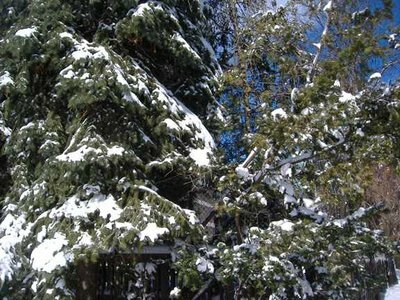 After the 40 or so centimeters that fell on Friday and Saturday, so far this winter season Toronto has gotten 189.6 cm of snow (almost two metres! ), and is only 17.8 cm away from the all time Toronto record of 207.4 cm set in 1938-1939. 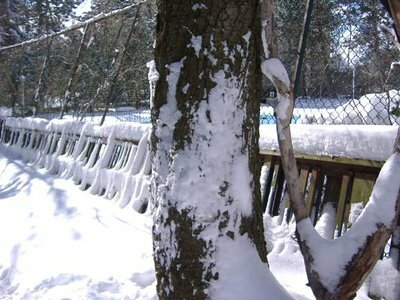 With still half of March and the very real possibility of some snow in early April, Toronto could break the record yet. This is further contrasted by the fact that last year Toronto only got 60 cm of snow all winter, the second lowest total on record. So it’s not just my imagination, it is a bad winter! Sunday was a beautiful sunny day, so I went out to capture some of the aftermath of Toronto’s latest snow storm. Snow banks above car roofs. Cool! The rest of Canada probably won’t think this all that impressive, of course. 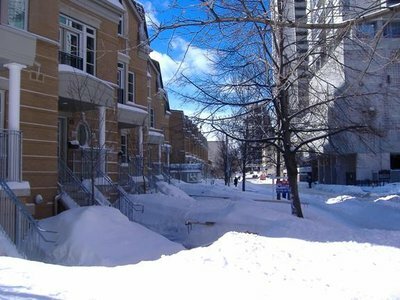 Ottawa, just a 5 hour drive away, has had 411 cm of snow so far this year, and Montreal has gotten 348 cm of the white stuff. In fact, Toronto is just 79th on the list of snowy cities, and our all time high of 207 cm is just above the AVERAGE snowfall across Canada of 200 cm a year. Just another reason why the rest of Canada can continue to hate Toronto. I've read your post in another forum about getting a UK VIsa and was hoping you can tell me where exactly the Toronto VAC is. I've searched everywhere and cannot find the location! Also, i read your Japan blog and it was very informative - my wife and i are going there in May for 2 weeks and can't wait to go, thanks for some tips! I would've contacted you more 'discretely' but i couldnt find a message button here..thx.